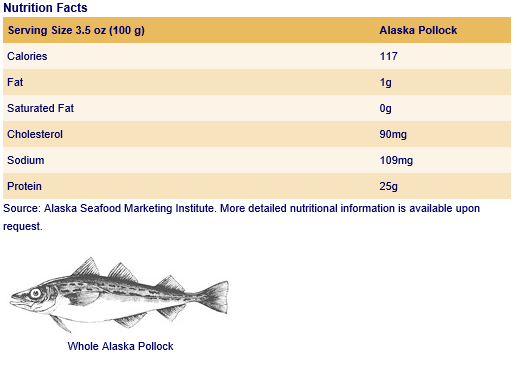 Pollock - North Pacific Seafoods, Inc. The largest food fishery in the world, Alaskan pollock is used as an ingredient in hundreds of products around the globe. This member of the cod family offers snow-white meat, a flaky texture and mild taste. It is a popular item for fish and chips, fish sandwiches and fish tacos. North Pacific Seafoods, Inc. processes Alaskan pollock into dressed fish, shatterpack fillets and individually quick frozen (IQF) fillets to meet a variety of market applications. In the Gulf of Alaska, pollock is harvested in two seasons. “A and B” season begins in mid-January and runs until the end of March. The pollock “C and D” season begins in mid-August and runs to mid-October. Our scheduling of the fishing fleet coupled with our processing and shipping systems ensures the freshness and traceability of Alaskan pollock products. North Pacific Seafoods, Inc. is also certified by the Marine Stewardship Council to provide sustainable Alaskan pollock to our customers.